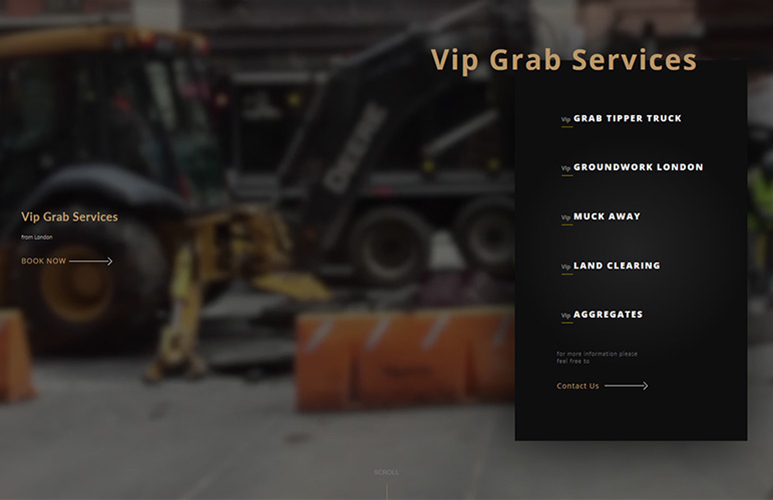 New website design for VIP Grab services from London. Vip Grab is a London based company offering grab hire services. 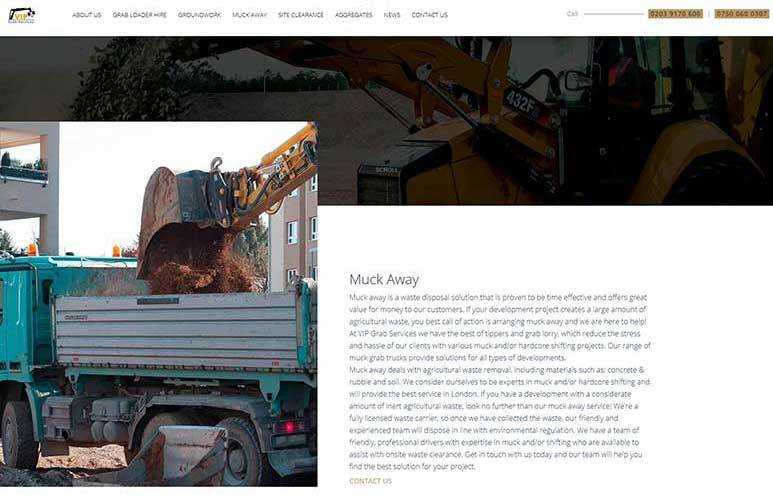 They also specialize in groundwork, muck away, site clearance and aggregates. 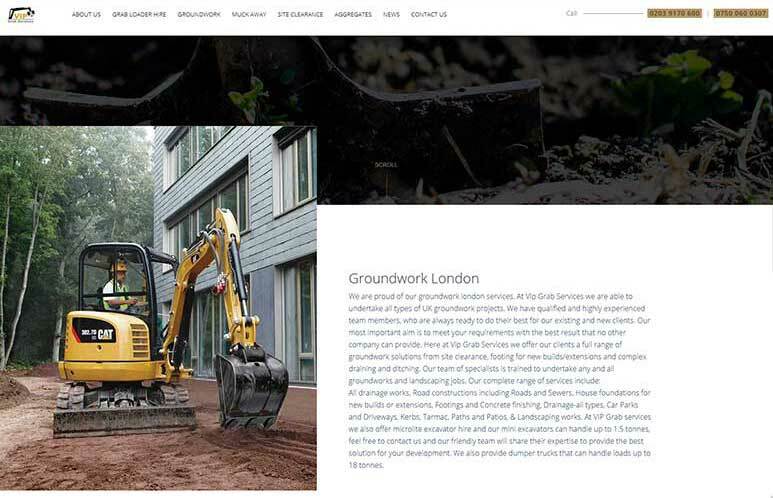 Based in Greenford, they’ve been set up to service customers in London and Home Counties Area. Vip Grab new website was build based on a bootstrap framework including some cool UI. Pages were designed for clear and simple navigation and pages are clear and consistent throughout. Their old website struggled to reach customers and generate any SEO.